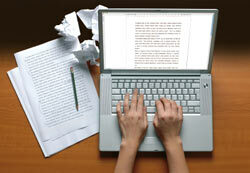 Article marketing has been a staple in gaining traffic and search engine rankings for web sites for a number of years. While many Internet marketing activities have come and gone article marketing remains strong, and for a local business it continues to be one of the least expensive and most effective ways to market online. Generating targeted traffic to your website. Creating subscribers to your email list. 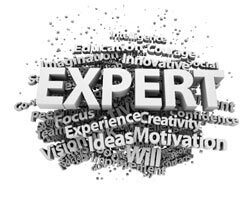 Promoting yourself as an expert in your niche. 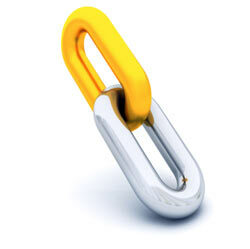 Accumulating links to your web properties to help with your search engine rankings. In this final post of the two-part series on this topic we’ll cover the last two benefits. If you missed our first post then you can read Article Marketing for a Local Business on the Internet – Part I here. The Internet today is all about exposure and transparency, and it’s easy for you or me to search online to learn about a business or a person. A quick search will uncover the good, the bad, and the ugly. Most people searching for a local service or product don’t use the Yellow Pages phone book anymore. It’s faster for them to go online and do a search using one of the major search engines – 85% around the world use Google for this activity. People then review the results and start researching online these brick and mortar companies and their principals. The typical experiences are starting the review at the company website and then investigate what others are saying about the company on the internet. Sooner or later a search on the owner or principals is generated. People like to do business with a credible company and a face. Seeing a bunch of article search results for an individual does wonder for their credibility providing the articles are well written and provide valuable information. It positions them as a “go to” person for their subject – an expert in their field if you will. Authoring articles for syndication also provides other opportunities for exposure. You’ll be contacted by people for your views and recommendations about your niche area – maybe even the media providing additional opportunities for exposure. In a few instances I’ve been invited to speaking engagements based solely on articles I’d written. This all adds up to a persona on the Internet for you and an increase in credibility with your target audience. The first three benefits of Article Marketing for a Local Business we’ve discussed are in themselves enough reasons to syndicate as many high quality articles as you can. The more articles you distribute the more traffic you generate to your website and the more you’ll be seen as an expert to your target audience. But there’s one more benefit to touch on, and I believe this is the icing on the cake when it comes to articles. It is the links back to your web pages you accumulate by publishing articles, and the positive impact it can have on your search engine rankings. Let’s talk about how this is done. In Part I of this series we discussed the importance of the resource box or byline you add to your article. The resource box is where you get to promote your business as a solution to a reader’s problem. The article content isn’t the place to do this – provide pure valuable content in your article unpolluted by any marketing messages. The contents of the resource box can vary for each article you submit so you can in theory have a different link and Call to Action (CTA) for every article you syndicate. The copy you use should be compelling to get people to click through to a web page that builds on content you’ve already provided, and continues the conversation with the reader you’ve begun. The link to the web page you provide in the resource box should not be a URL such as http://www.mahoneypizza.com but instead use anchor text that includes a search term and geo-modifier you want to be rank for in the search engines. Let’s dissect this enough so you understand the true benefit of the anchor text link. First you’re filtering out your readers so the only one’s likely to click through to the web site are visitor’s interested in learning more about Mahoney’s pizza delivery capabilities in Boston, Massachusetts. People in Omaha, Nebraska will not be compelled to click through and this is okay because they’re not in Mahoney’s Pizza local target market. The number of links you need and the time it takes to rank high in the search engine results will vary on your niche and location. In some competitive markets it can take up to six months of ongoing work to see results for your primary search terms for your service area. Because this is a long term haul strategy many local businesses can’t make the effort because of the resource and time commitment. This is why New England Local Marketing created our flagship Local Search Optimization service for small businesses. But when you consider 80% of people performing a search in Google click on the free organic results in preference to paid advertising, and 50%-60% of those click on one of the top three entries, then there is a lot of additional profits to be made for your local business by your web pages achieving first page ranking in the search engines results. This concludes our brief introduction to Article marketing for a Local Business. I hope you enjoy it and found it useful and excited at the prospect of adding it into your ongoing online activities to promote your web site to get more customers and increase profits. And again, if you’re looking for a little help marketing your website then please do check out our Local Search Optimization service here. As always, I’d love to hear your thoughts and comments on this content and other challenges you’re having marketing on the Internet. Just use the comment box below. I really liked your ideas on the local article marketing. I do have a quick question, where did you get the stat “But when you consider 80% of people performing a search in Google click on the free organic results in preference to paid advertising, and 50%-60% of those click on one of the top three entries”. We manage numerous websites, and I am seeing analytic numbers that are closer to 60% paid advertising versus 40% Organic (website and local listings). 20% is an average and it depends on the market. I don’t know where your niche is so can’t comment. The 20% has been verified by a number of independent sources and it it is generally in line with what I see for my clients. 40% clicking ads on first page of Google suggests the organic results for those niches are poor matches or they are looking for a specific product. Google has changed the rules and article marketing isn’t what you want to be doing for clients now and I wouldn’t advertise the term SEO any longer as well.